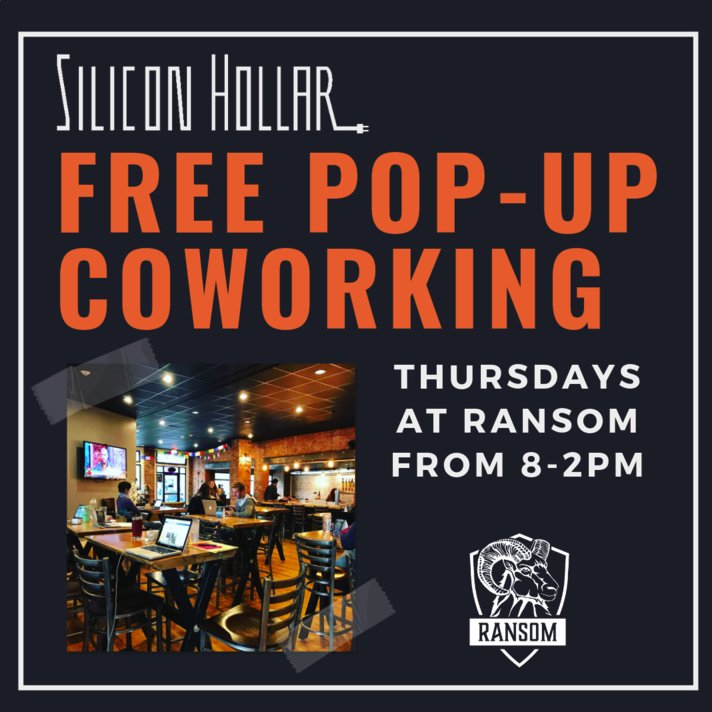 Join us on Thursdays at Ransom for co-working in downtown Boone! We’re bringing idea makers, dreamers, and doers together to share a free workspace once a week. We’ve got the coffee and space, you bring the work. A high-energy, hyperlocal event that features dueling, open-mic 60-sec pitches for companies looking for talent and people that have talent. Tickets Go On Sale Monday, March 11th! Purchase Here! Talent Jam is coming to Watauga County! Join us for an awesome networking event in place of our monthly Startup Social! An event that authentically connects our local talent and the organizations that need them in ways that traditional networking events or job fairs simply don’t. This is a high-energy, hyperlocal event that features dueling, open-mic pitches where companies looking for talent, and people that have talent, each deliver alternating 60-second pitches. The event is followed by a casual but impactful networking reception. Talent Jam - Work It Watauga is presented by Silicon Hollar and is in partnership with Appalachian State University - Career Development Center, Boone Chamber of Commerce, Blowing Rock Chamber of Commerce and The Watauga County Economic Development Commission. The location for Talent Jam – Work It Watauga will be at Ransom Pub on April 4th from 5 pm – 7 pm. Registration is required and pitch opportunities are very limited. Registration for pitches will open on March 11th and will close on April 1st. If you have questions, you can contact Geralyn Mitchell at Appalachian State University Career Development Center at mitchellgb@appstate.edu. Workshop is for business owners, students or anyone wanting to learn more about how to successfully manage and grow their business by knowing your numbers. Join us on Thursdays at Ransom for co-working. 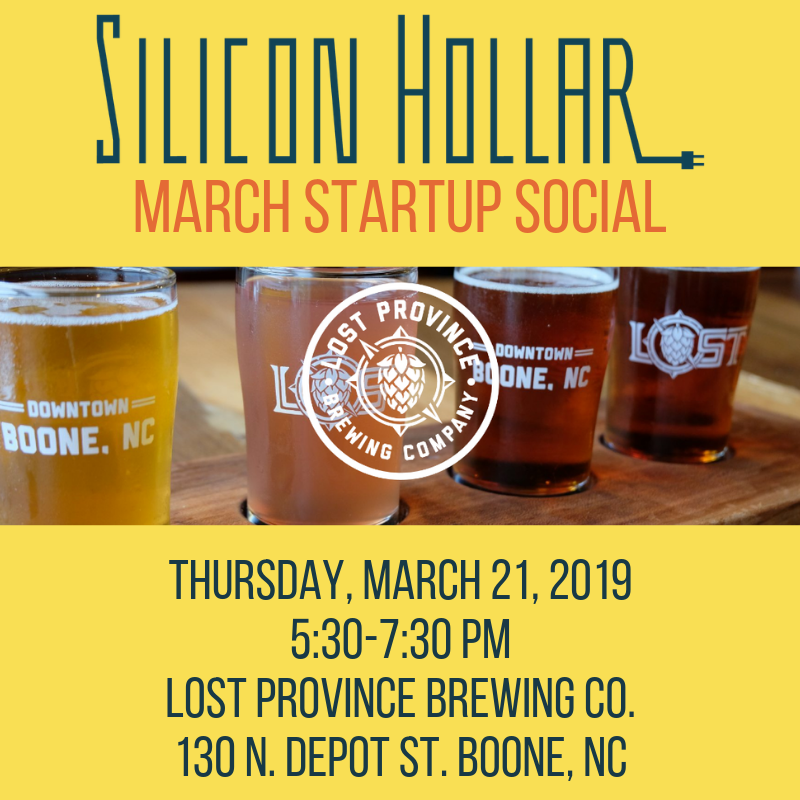 Join us at Lost Province for the March 2019 Startup Social! Special thanks to Lost Province for sponsoring this event! HUH...STARTUP SOCIAL? WHAT IS THAT? This is an event for entrepreneurs, coders, hackers, investors, community members, small biz owners - basically anyone interested in learning about entrepreneurship, growth companies and technology in the High Country. Come have a beer or coffee, learn what folks in the area are working on and help us build the High Country's Startup Ecosystem. We always take a few minutes to talk about the Startup Community in the High Country, upcoming Silicon Hollar events, provide updates on tech and entrepreneurship initiatives, and open the floor up to you. Local startups are always encouraged to pitch their company, ideas, challenges, etc. We're aiming to provide a casual space and time to connect with others in the area interested in technology and entrepreneurship. The beer and coffee ain't bad either. Ransom | Appalachian Mountain Brewery | Booneshine | Hatchet | Copper Barrel | Lost Province I Blowing Rock Brewing Co.
Join us for this month's Startup Social at Boone Saloon for the boonies World Premiere on Thursday, Feb. 28th at 7:00 PM! We want our awesome network to show their support and love so come on out, order drinks and dinner and enjoy the show! Learn more about boonies here and about the Premiere here. 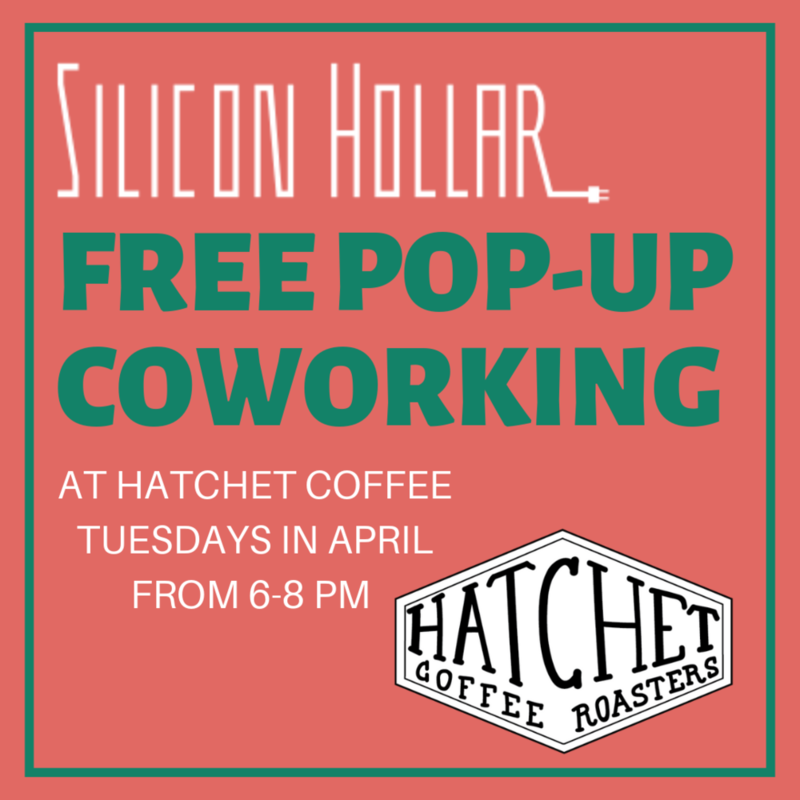 Join us on Tuesdays in February at Hatchet Coffee Lounge for pop-up co-working. Workshop is for business owners, students or anyone wanting to explore ideation and how to tap into entrepreneurial creativity. 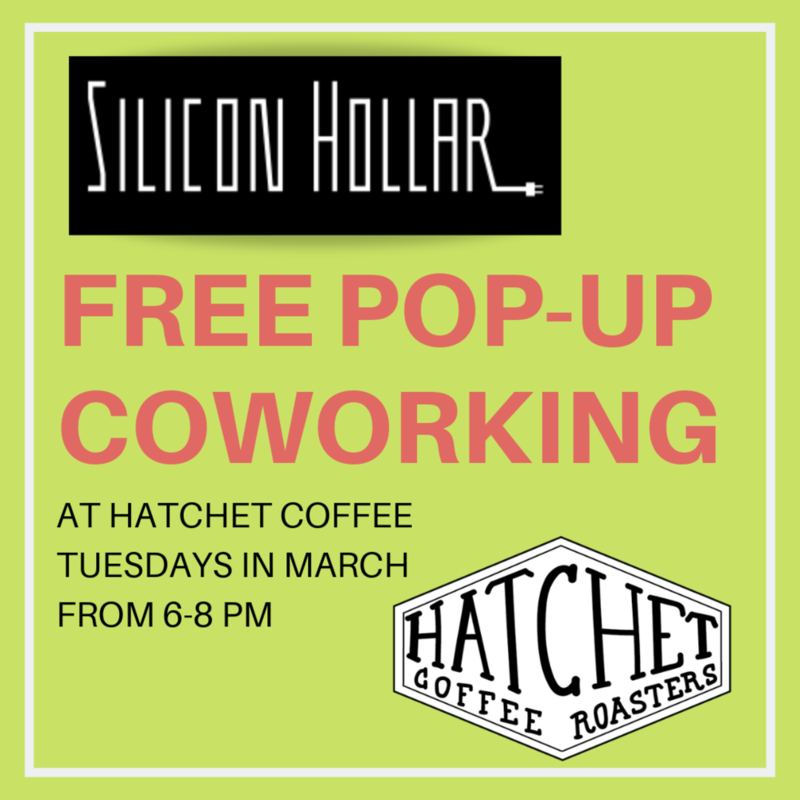 Join us on Tuesdays in January at Hatchet Coffee Lounge for pop-up co-working. 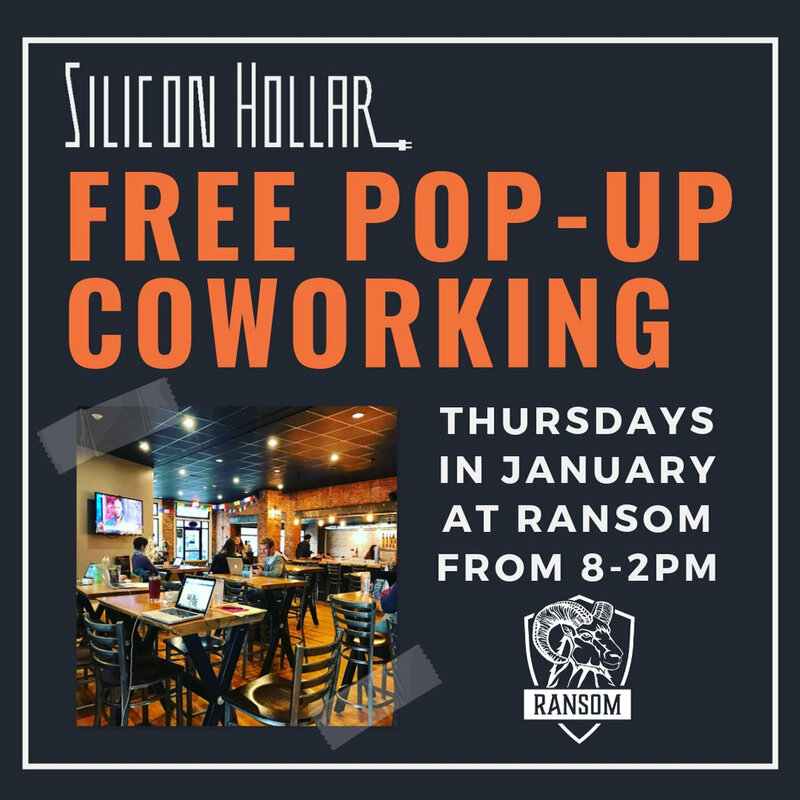 Join us on Thursdays in January at Ransom for co-working. 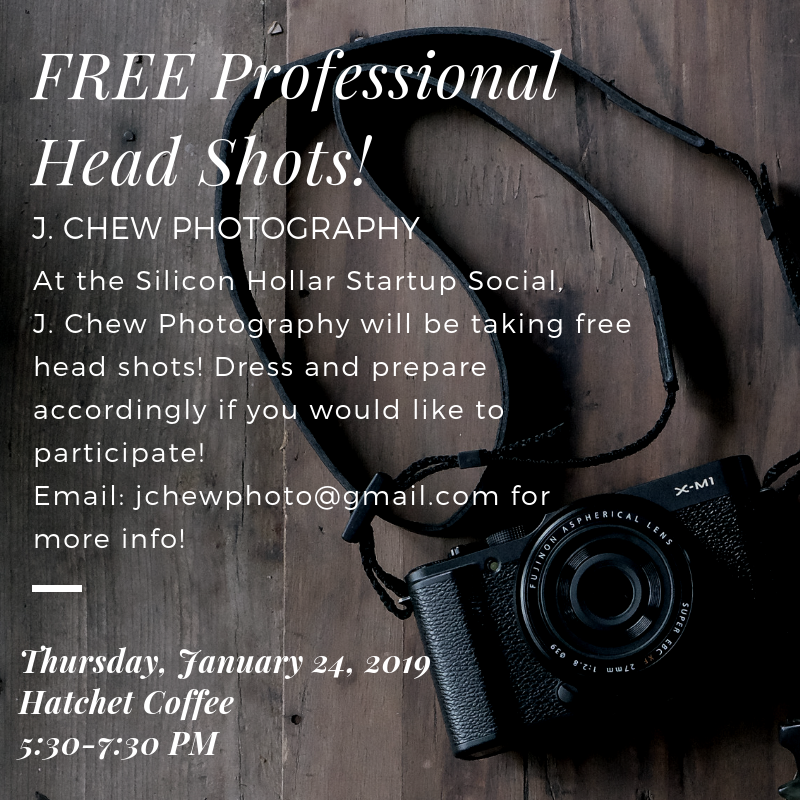 Join us at Hatchet Coffee for the first Startup Social of 2019! Special thanks to our event sponsors: Appalachian Mountain Brewery, Booneshine Brewing Co., Hatchet Coffee, and J. Chew Photography! This is an event for entrepreneurs, coders, hackers, investors - basically anyone interested in learning about entrepreneurship, growth companies and technology in the High Country. Come have a beer or coffee, learn what folks in the area are working on and help us build the High Country's Startup Ecosystem.